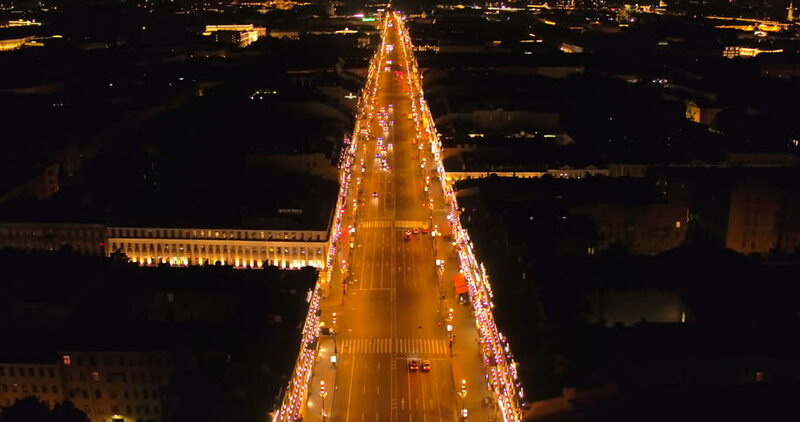 Aerial view of night Saint Petersburg 4k. Stunning flight over the beautiful city. hd00:30Dom Luis I bridge in Porto, Portugal at night. 4k00:12Aerial Bird's eye view of downtown San Diego, California Freeways and Streets at Night. 4k00:26Hong Kong - October 25, 2018 : 4K footage of Hong Kong Central District night scenes from aerial view.